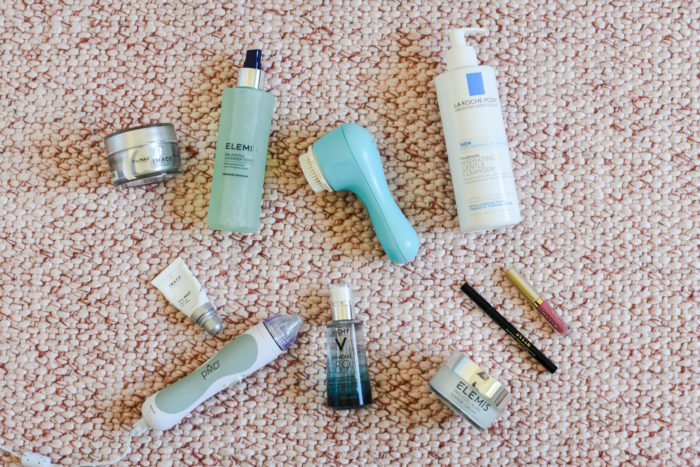 My Beauty Routine Including Items on Sale for the Nordstrom Anniversary Sale! This shirt is on sale for $17.50!! The discount applies at checkout. I am wearing an XS. 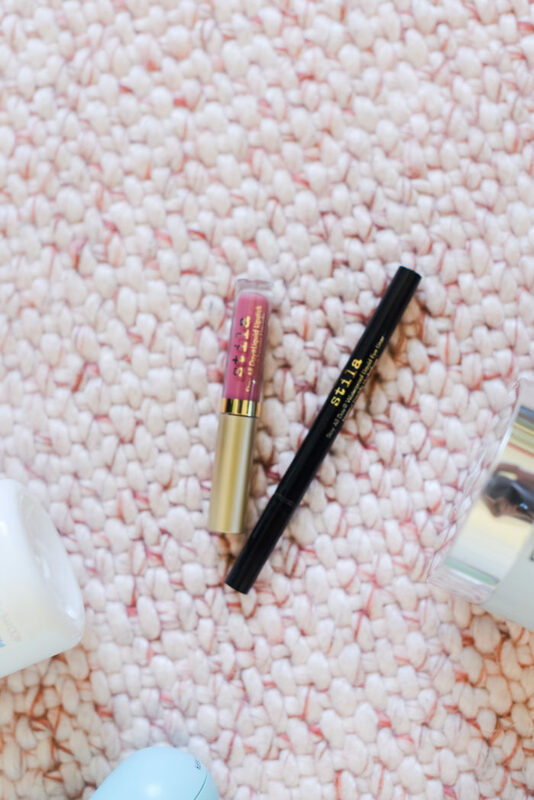 My FAVORITE Stila eyeliner and lipgloss combo on sale here!! 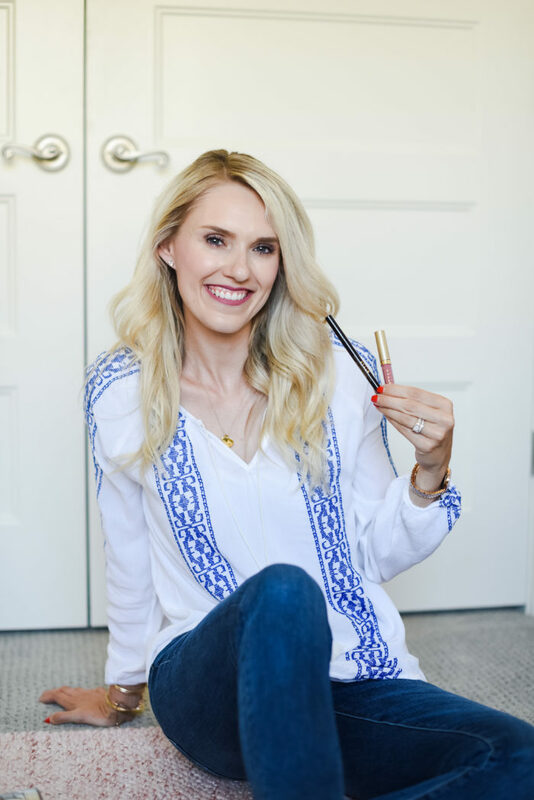 JUST the eyeliner is normally $22, and this combo is only $20! I stocked up last year and am going to do it again! I LOVE this moisturizer and use it in the morning. 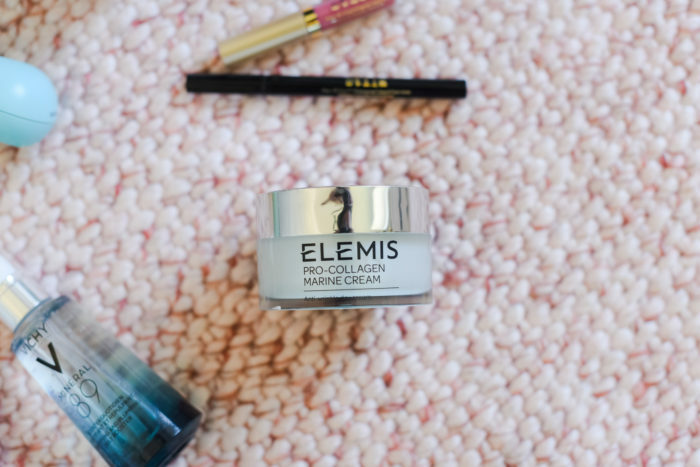 I first use this, then layer it with this Elemis Pro-Collagen Marine Cream. It makes your face feel fresh and it has the best scent. I have honestly noticed a difference in my skin since starting to use it. It is smoother and more even. 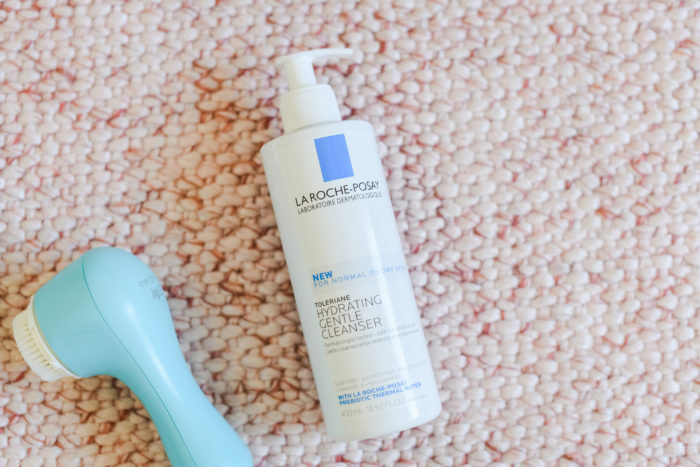 The Clarisonic face cleanser is a GAME CHANGER and it’s on sale right now so if you’re going to do it, then do it now!! It cleans your face a million times better than manual cleaning. You can use it with any smooth face cleanser (I recommend this one!!) You can also buy this Clarisonic which is great and less expensive, it just doesn’t have a timer letting you know when to switch from one part of your face to the next. I love this face toner! It has lavender in it which is really soothing to the skin. 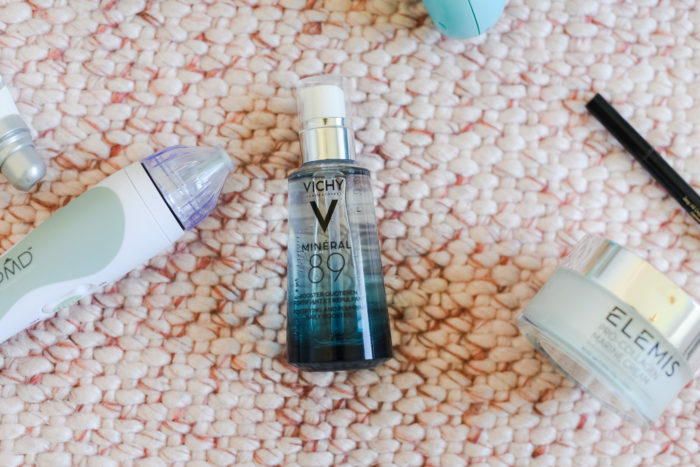 I use it after I clean my skin with this moisturizer and the Clarisonic at night. I love this Image eye cream and night cream! My mom uses it and swears by it too. It’s incredible and keeps the wrinkles away. I order it from Tyler’s cousin Cami. She is SO knowledgable on skincare and has 10 years of experience. You can email Cami at rfcami@myrandf.com to order or ask any questions! I love using this daily skin booster in the morning after I shower. I put on, let it dry, then layer it with this moisturizer. The PMD is on sale right now and I am freaking out excited about it!! I use it once a week (on Sundays so I don’t forget). It removed dead skin cells, prevent aging and completely smoothes out your skin. It’s SO much less expensive that getting a microdermabrasion treatment at a salon. Snag one right now because this is a great deal! You SAVE $60!! 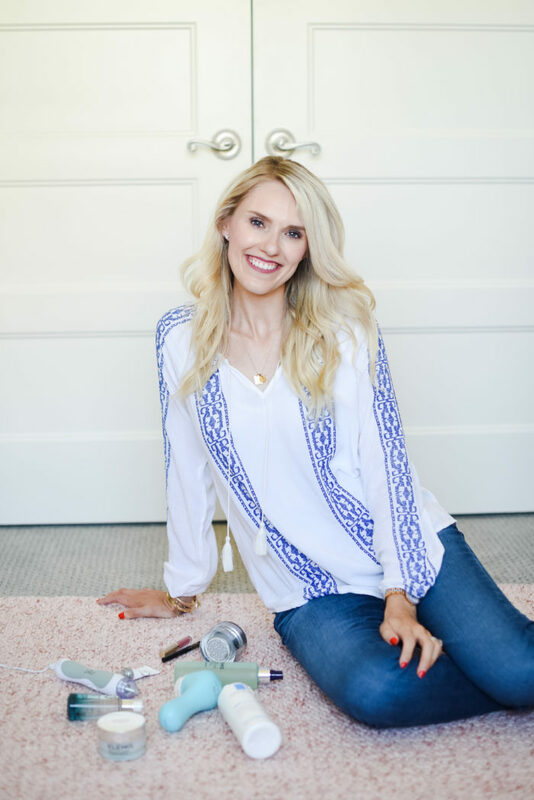 Many of you have been so kind to ask about my skincare routine so I thought now would be a great time to share it because two of my favorite items are on sale for the Nordstrom Anniversary Sale!! These are bigger ticket items and you will save a lot of you buy them right now. 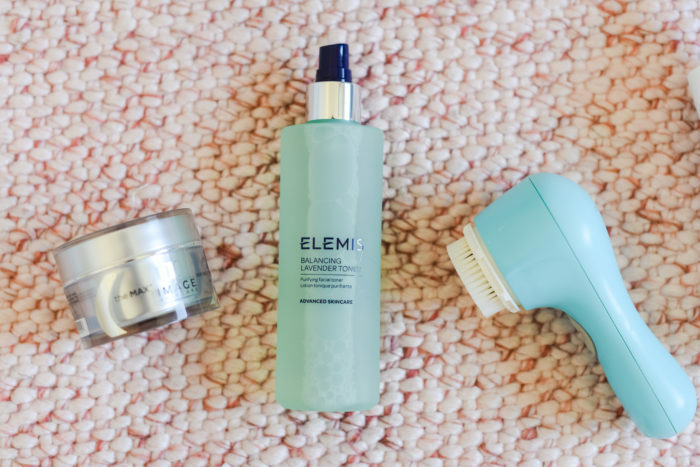 I use the PMD once each week and the Clarisonic literally every single day! I clean my face using this face cleanser. 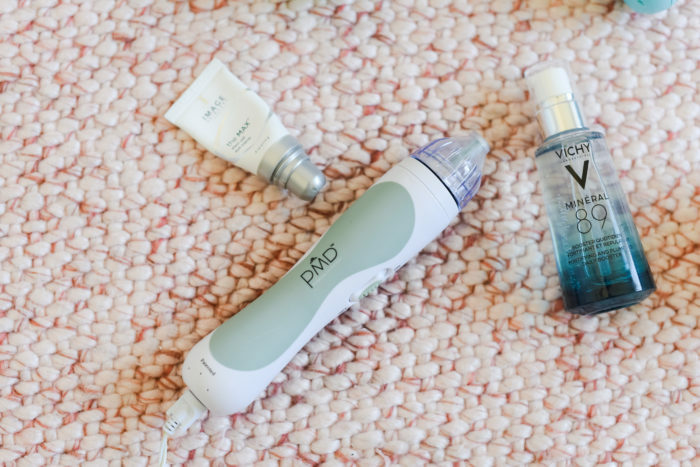 I LOVE that it comes with a pump and is so inexpensive for such a great product! 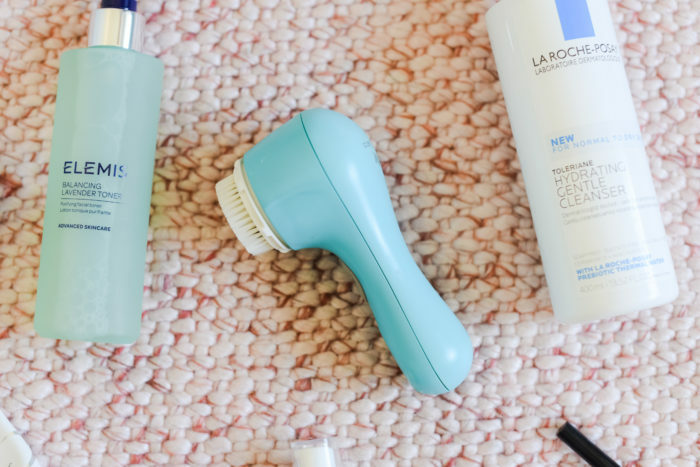 I use the Clarisonic to clean my face!! Buy it on sale right now here! I love this calming lavender toner. I use it with a cotton round over my face after I cleanse it. 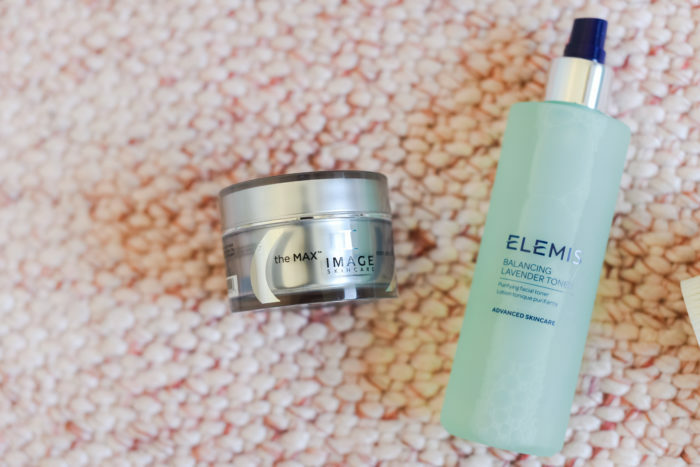 I love the Image eye cream and night cream! My mom uses it and swears by it too. It’s incredible and keeps the wrinkles away. I order it from Tyler’s cousin Cami. She is SO knowledgable on skincare and has 10 years of experience. You can email Cami at rfcami@myrandf.com to order or ask any questions! 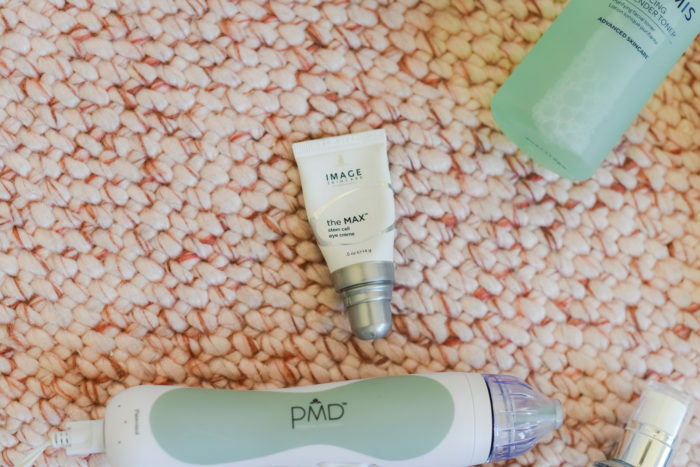 After I clean my face and let it dry completely, I use the PMD to get rid of the dead skin cells and completely smooth my face to prevent aging. It’s on sale right now so now is the best time to buy it because you save $60!! Please let me know if you have any questions!! Love you guys! Here are the BEST beauty supplies that are on sale right now for the Nordstrom Anniversary Sale! 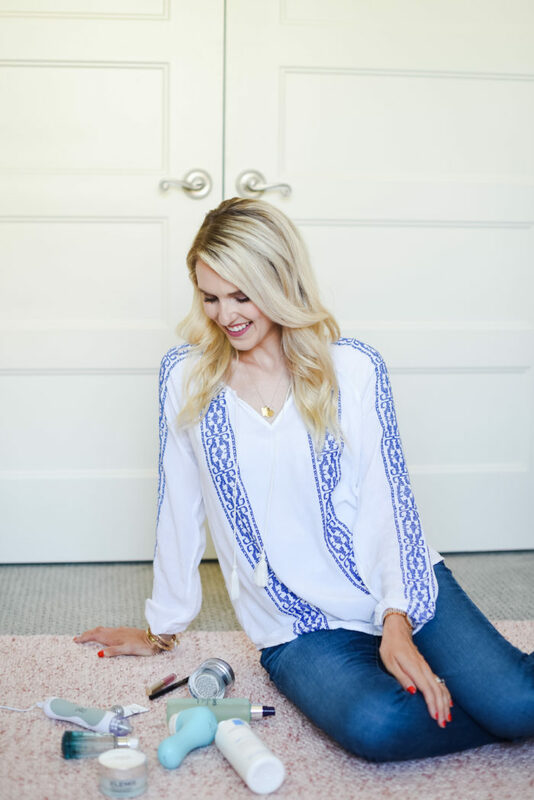 Previous Post: « Nordstrom Anniversary Sale: Best Boots and Booties + 3 Ways to Wear these Booties! Thanks for the beauty regime info Jenica! I’m wondering if you use a eye makeup remover? I have the same eyeliner and love it but find it so hard to get off. 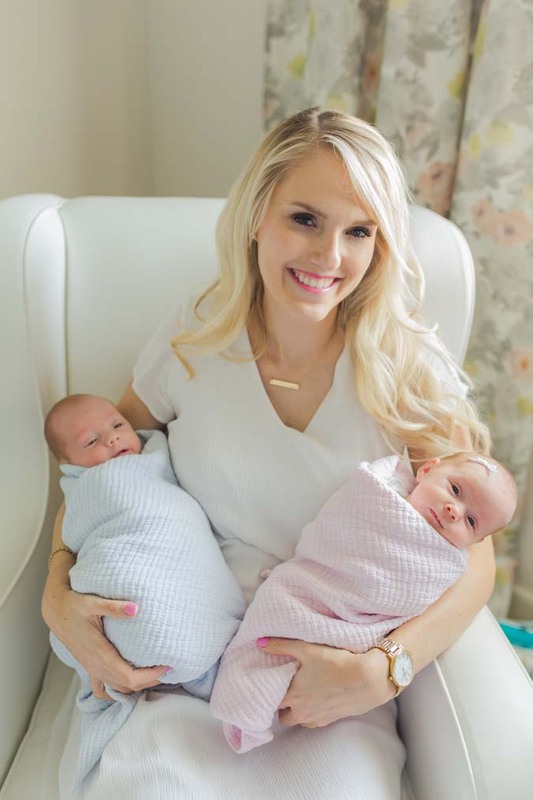 Also, (since I’m leaving a comment and wouldn’t normally) I’m a twin mom (IVF too) and my twins are four weeks old right now. I’m up all night with them and the sleep deprecation is really hard. Any tips for me at this early stage? They seem to want to work through tummy gas at night and this keeps them fussing through the night. Thanks for your blog, I love to read it! You are an inspiration!! Congratulations on the twins! That is AMAZING! You are for SURE in the hardest part right now. I promise it gets easier! Make sure to give them infant gas drops before every single feeding. That helped a LOT for Goldie who had tummy issues. The only eye makeup remover that I love that works SO well is the Neutragena makeup wipes. I love them!! You can get them at any grocery store.